Risaldar Fateh Khan Khattak belonged to the Khan Khel family of Jahangira (Nowshera district, KP). Initially he had served in the Irregular Cavalry Lancers of Sikh Regiment at Lahore. Later, he was transferred to the Corps of Guides by then British officers attached with the Khalsa Durbar. 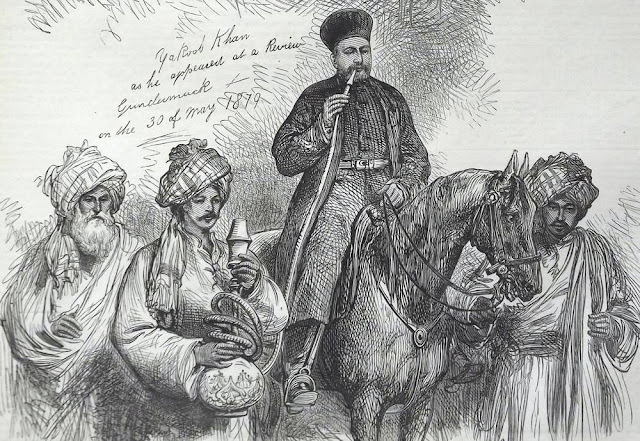 Fateh Khan Khattak was of very loyal service to the British and served them during first Anglo-Afghan War (1839-1842), Second Anglo-Sikh War (1848) and the War of Independence (1857).